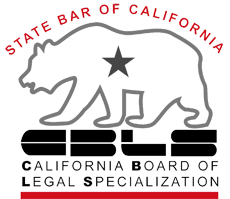 TERMINATION OF PARENTAL RIGHTS FAQ: How Does a Termination of Parental Rights Case Work in California? When a child is born, his or her birth parents automatically have certain rights and obligations regarding that child, including the right to custody and the obligation to support the child financially. The State of California generally promotes keeping children with their parents as long as it is in the child’s best interests. However, parental rights are sometimes terminated, whether a parent gives up the right to their child voluntarily or the court decides it is in the child’s best interests to revoke the parent’s parental rights. The process of terminating parental rights in California can vary, especially depending on the cause for termination. It is always important to work with a family attorney if you are facing the loss of your parental rights, even if you are doing so voluntarily. The consequences of terminating parental rights are life-changing and rarely reversible. 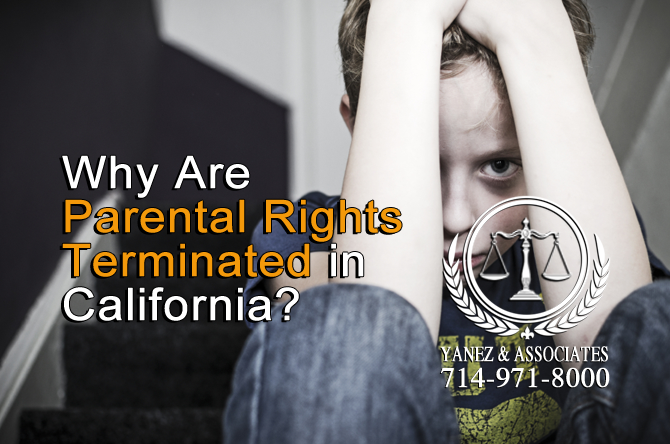 Why Are Parental Rights Terminated in California? Why Are MY Parental Rights being Terminated in Orange County California? There are several reasons why a parent’s rights might be terminated in California. The two main reasons are as follows. • Abandonment - This happens when a child has been abandoned by one or both parents. Abandonment might mean a parent has chosen not to be in the child’s life for any reason, including that the child is being put up for adoption. •Abandonment constitutes leaving a child with someone who is not the other parent for a period of at least six months, or leaving the child with the other parent for at least one year with little or no communication with the child. • A court may also constitute failure to pay child support as a form of abandonment. 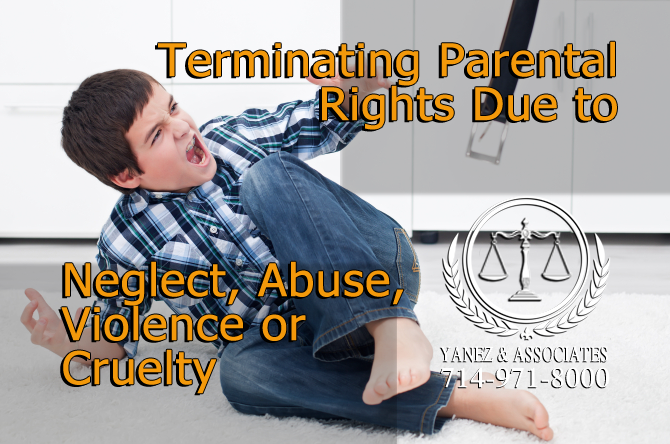 •Neglect, Abuse, or Cruelty - Children who face neglect, abuse, violence or cruelty at home may be removed from their home life, and the court may choose to terminate parental rights. • Neglect constitutes a failure to care for the child and provide the child with necessities like food, water, shelter, access to education and medical care, etc. • Abuse and cruelty can mean the child faces physical violence, but it can also include mental, emotional, verbal, or sexual abuse or violence. • Allowing the child to face any of the above at the hands of a caretaker also falls into this category. • Any parent who exposes a child to violence, especially violence between the parents – even if the violence is not directed at the child – may also face the termination of parental rights. • Exposing a child to things like drug or alcohol abuse can constitute abuse as well. Why are my parental rights being Terminated, what are some reason California terminates parental rights? 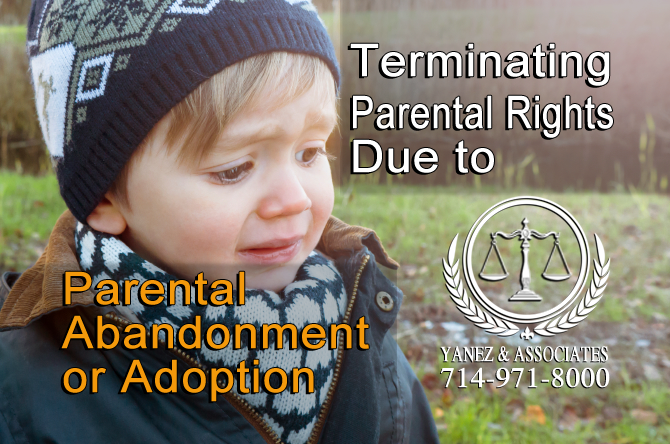 In order for parental rights to end because a parent has abandoned the child, it must be proven that the parent intentionally abandoned the child. It is possible to prove this through witness testimony or written documentation. In some cases, a parent may choose to terminate parental rights early on, especially if the parent feels that having a child does not fit into their current lifestyle. Sometimes, a parent cannot afford to have a child or opts to put the child up for adoption. Adoption is a process that transfers parental rights from one parent (usually a biological parent) to another parent (called the adoptive parent). Because only two people can have parental rights of a child at any given time, it may be necessary to terminate the parental rights of one parent in order to grant those rights to the adoptive parent. Adoption does not always terminate the rights of both parents and grant new rights to two new parents. One of the most common kinds of adoption in California is adoption by a step-parent or a registered domestic partner. This is possible when one of a child’s parents marries or registers a domestic partnership, and the other parent chooses to give up his or her parental rights voluntarily. The child’s new step-parent can adopt the child, which would give the parent and the new step-parent both equal parental rights to the child. The process for both independent and agency adoptions varies. However, in both situations, the birth parents will need to give up their parental rights. This may be done voluntarily or by decision of the court. When parental rights are granted to the adoptive parents, the rights are granted as if the adoptive parent is the birth parent. Adult adoption is one kind of adoption that does not necessarily affect the rights of a parent regarding things like child custody and child support. It can, however, have an affect on things like inheritances. Adult adoptions can take place between two adults over the age of 18. The adoptive parent must be at least 10 years older than the adoptee. If we as parents are found guilty of Neglect, Abuse, Violence or Cruelty, will one or both of us lose our parental rights? In situations where the child faces neglect, abuse, violence or cruelty, the court may choose to terminate parental rights to protect the child’s best interests. If this is the case, a state agency is usually involved in the case. The state can be involved even if one parent is violent, abusive or cruel, and the other is not. Sometimes, especially when the parents do not live together, one parent can petition the court to terminate the parental rights of the other parent. Usually, the parent can only do this in certain situations. One parent can petition to have the court revoke the parental rights of the other parent if the other parent has left the child for a period of at least one year with little communication with the child. They may also do so if the other parent fails to communicate about or pay child support. Sometimes, a child has been placed in foster care or in the care of a guardian, especially in juvenile dependency cases. These situations are meant to be temporary, and California promotes the resolution of guardianship and foster care within one year in order to maintain stability in the child’s life. A parent’s rights may be terminated by the court in the following situations. • If neither parent has legal custody of the child, it means the parents have not been granted the right to make decisions for their child’s life, and the state may revoke parental rights. • If a guardian has had physical custody of the child for a period of at least two years, the court may allow the guardian to adopt the child, which would require the termination of the parent’s rights. • If the court determines that it is in the child’s best interests to be adopted, the court may choose to terminate the parent’s rights. Can I Get Parental Rights Back After They Have Been Terminated? My Parental Rights have been terminated, can I get them Back? The process of terminating a parent’s rights is a long and complicated one. Parental rights can only be terminated if the parent gives up his or her rights voluntarily, or if the court determines that it is in the child’s best interests for a parent’s rights to be terminated. In California, the law always promotes a child’s best interests. One of the things that contributes to a child’s health and well-being is stability. Terminating parental rights is not a decision the court makes lightly, and it is rare that the decision will be reversed. If the parent is giving up his or her rights voluntarily, especially if the parent is considering adoption, the State will likely have the parent work with a professional who can ensure the parent understands the consequences of his or her action. A birth mother who decides to put her child up for adoption will have numerous opportunities to change her mind before signing the adoption papers, which cannot happen until the child is born. Even a parent who is denied the right to custody or visitation may not lose his or her full parental rights right away. A parent who wishes to retain his or her parental rights will usually have the opportunity to prove that custody or visitation should be granted before the court terminates rights. If you are facing the termination of your rights as a parent, contact a family lawyer in Orange County. Paternity lawyers can help you protect your rights. If you need to consult with a Termination of Parental Rights Lawyer in Orange County contact us for a free consultation. Terminating the rights of a parent is a big change in the life of both parent and child. The decision is usually permanent, so it is important to work with an experienced fathers' rights attorney who can help you understand the consequences of terminating your parental rights. Your parental-rights lawyer can also help you understand the law, how it applies to your case and how you can use it to work towards a positive outcome. If you have questions or if you are involved in a parental-rights case in Orange County, contact the paternity attorneys at Yanez & Associates today to schedule your free initial consultation with a Southern California family law lawyer today. 1 How Does a Termination of Parental Rights Case Work in Orange County? 2 Why Are Parental Rights Terminated in California? 5 Can I Get Parental Rights Back After They Have Been Terminated? California Child Custody Laws, Can I Get Parental Rights Back After They Have Been Terminated?, How Does a Termination of Parental Rights Case Work in Irvine Anaheim, Orange County Attorney for Termination of Parental Rights, Terminating Parental Rights Due to Neglect Abuse Violence or Cruelty, Terminating Parental Rights Due to Parental Abandonment or Adoption, Termination of Parental Rights attorney in Orange County, Termination Of Parental Rights In California, Termination of Parental Rights in Orange County CA, Termination of Parental Rights Lawyers in Orange County, Why Are Parental Rights Terminated in California?